Get all of the information you need to know on getting Invisalign in Boca Raton at Dr. Pam Orthodontics. Invisalign is an excellent option for many patients seeking a to improve their smile. Invisalign is an orthodontic treatment that can straighten your teeth without the need for braces. Many patients enjoy the convenience of Invisalign and find that it easily integrates into their lifestyle. 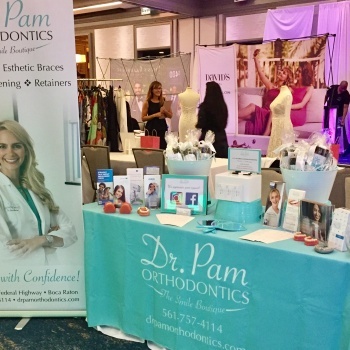 Dr. Pam will first take an impression of your teeth using the most advanced technology available today. This impression of your teeth is sent to the Invisalign laboratory in order to create a digital model of your teeth. Using the Invisalign specialized software, Dr. Pam will then engineer the best possible tooth movement that will result in your ideal smile. 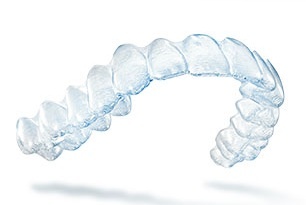 The Invisalign treatment involves the use of clear plastic trays that cover your teeth like a retainer does. These plastic trays are called aligners. When the aligners are on your teeth, they are invisible to those around you. Once Dr. Pam has completed the ideal treatment path, the Invisalign laboratory creates a successive group of aligners customized to your teeth. You will wear each aligner for about two weeks. The aligners will move your teeth slowly and in small increments. Once the teeth have moved to the correct location, the next aligner will continue the movement. Dr. Pam will closely monitor your progress throughout your Invisalign treatment. She will make any necessary adjustments to your treatment if/when necessary. Our goal is for you to achieve the BEST outcome possible in the most convenient fashion. During your consultation, Dr. Pam will thoroughly examine your teeth and bones, and determine if Invisalign is right for you. Invisalign has opened up the possibility of straighter teeth to many people who would not consider braces for lifestyle purposes. Invisalign is an orthodontic treatment using a series of clear plastic trays, called aligners, that move your teeth into the desired position. Each tray is worn for abut two weeks and then replaced with the next tray as planned by your orthodontist. The treatment can take anywhere from 10-40 weeks. Why is Invisalign better then braces? Invisalign is not necessarily better then braces. Invisalign is more of a lifestyle choice made by patients in order to have orthodontic treatment without the perceived inconvenience of wearing braces. The Invisalign aligners are practically invisible and worn by you for most of the day. They are typically removed for meals and brushing your teeth. 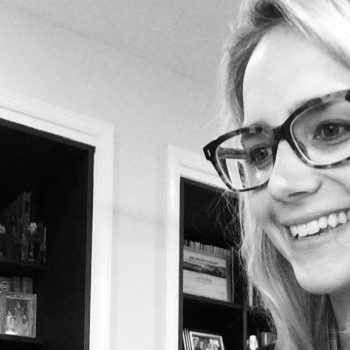 Dr. Pam will show you what these Invisalign aligners looks like during your consultation. This depends on how much tooth movement is necessary. If you are just straightening some mild crowding of your teeth, the treatment can be completed in as little as 10 weeks. If more significant tooth movement is needed, this can take 40 weeks or even longer. During your consultation, Dr. Pam will be able to tell you how long you can expect your treatment to take. Determining your candidacy for Invisalign requires a consultation with a qualified orthodontist. During the consultation, your treatment goals and desired outcomes will be evaluated. Dr. Pam will examine your teeth and help determine the best path for you. While most patients are good candidates for Invisalign, it is certainly not a one size fits all approach. Having a customized treatment plan designed by a trained orthodontist will result in the best possible outcome for you. Some patients may require more complicated tooth movement that is not ideally performed with Invisalign. In these cases, other treatment options may be recommended. The goal is to obtain the BEST possible results. Dr. Pam will advise you on how best to achieve this. If better results can be obtained with braces, there are fortunately amazing advances in the technology that make braces nearly invisible. Invisalign treatment is generally not a painful. The consultation and examinations involve NO pain at all. When the aligners first go in, you may experience some soreness of your teeth. This generally resolves within 2-3 days. Patients can take Advil (Ibuprofen) for any discomfort, however this is rarely necessary. How often will I need to see the Orthodontist during my Invisalign treatment? Dr. Pam generally likes to see her patients every 4-6 weeks during the treatment. Sometimes you may require more frequent visits, while other times the visits can be spaced further apart. This depends on your unique tooth structure, plan, and circumstances. You will be seen in our state-of-the-art office, in the most comfortable chairs. We respect your time, and vow to make the process as efficient as possible, while still providing the BEST care. Why should I use an orthodontist to perform my Invisalign treatment? Orthodontics is the specialty within dentistry that specifically involves moving teeth to the most desired aesthetic and functional position. Orthodontists are the only dental providers that are specifically trained to do this. An orthodontist designed Invisalign treatment will ensure that you obtain the BEST results possible.